I took a brief break from my dental health series to focus on the influenza outbreak that is still ongoing in in San Fransisco area, but now I am back on track to talk about teeth!! There is a procedure I hear about more and more lately and I have growing concerns about it, so I felt the need to share them. Numerous professionals, including even some of my colleagues in the veterinary community, offer what the American Veterinary Dental College calls “anesthesia free dental cleanings.” These cleanings sound great in theory, but under the surface, they are in one word…risky. When I go to the dentist every six months I have my teeth scaled and polished, they do a periodontal exam with a probe to measure for signs of bone loss, and they take x-rays to look for cavities. I sit in a chair for about an hour with my mouth open and various tools in it to accomplish this. Some people get very anxious about this process and take medications or even inhale nitrous oxide so they are more relaxed. I know a few people with such severe dentist anxiety that they actually have to be put under heavy sedation for just a cleaning. As people most of us can communicate, tell the dentist when it hurts, and understand what is going on and why. Our pets are not the same, they do not understand what we are telling them, they can’t tell us if something hurts, and procedures of any kind while they are awake can be challenging. Think about all those dog that hate to have their nails trimmed… Though the thought of not putting your little four-legged family member under anesthesia sounds great, the stress they would be under for a procedure like a dental cleaning is unimaginable. The instruments used to scale to are sharp, they can easily cause harm and pain if the pet move, so restraint is a must, even forceful restraint is sometimes required for such a process. Anesthesia is a process by which the pet can be restrained, their pain can be managed and their stress minimized. A full dental cleaning for your pet, just like when you go to the dentist, does not involve just chipping off the tartar on the crown of the tooth. An animal under anesthesia has all the tartar removed, their roots probed to determine bone loss, the area under the gum line cleaned and often x-rays to evaluate their roots and bone surrounding their teeth. A dog or cat getting an anesthesia free dental only gets a part of that, the only thing we could get off would be the external tartar, no subgingival scaling, minimal polishing, the insides of the teeth are not cleaned or evaluated and they definitely aren’t getting x-rays. That would be like me getting only a cleaning, not finding out about cavities or bone loss and just going about my day gleefully oblivious of poor dental health. To me this is not a good practice. 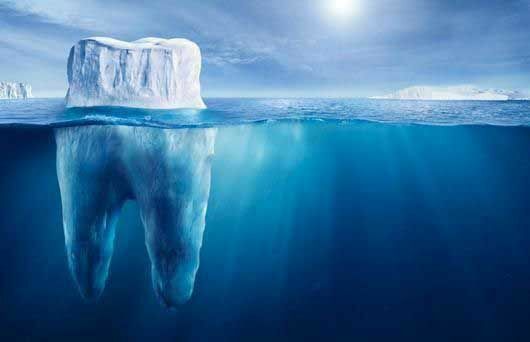 ​​​​​​​Like I have said before (and I will say again) the crown of the tooth is not the whole story, most dental disease is hiding under the surface of the gum and we can never see it with our eyes alone. Even though a pet may have visible clean and even pearly white crowns, there could be devastating disease hiding. 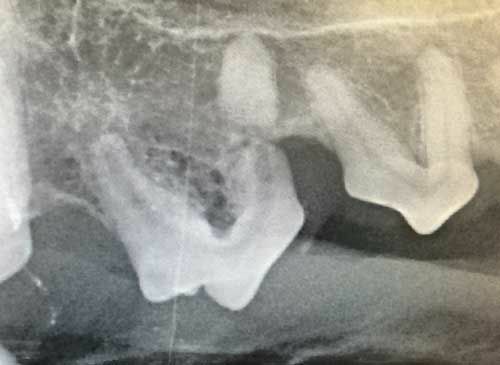 I did a dental last week on a dog that had a tooth that just looked crooked, only to find out that one of the roots was broken and infected, we would have never known if he hadn’t been under anesthesia and had those dental x-rays. Anesthesia is scary, I know, I just had to go under myself for surgery and was nervous. I kept telling myself,” you do this almost every day, you know it is safe, why are you acting this way?” but I was still genuinely nervous. Research and newer drugs and better means of patient monitoring have made anesthesia safer, even sick and older animals go under anesthesia on a regular basis and wake up without a problem. The best thing to do to curb worries is be very prepared. Pre-operative blood work and a urinalysis are great, if your pet has a murmur, have that evaluated, make sure they have an IV catheter and fluids to allow for blood pressure support, all of these things make anesthesia better, less risky, and should make it less scary. I am sure the people that offer anesthesia free dentistry have good intentions (at least I hope they do) but I worry that there is more harm than good when it comes to the overall lack of completeness in the process. Don’t let your pet’s mouth become the Titanic, most of the iceberg is under the water, know the whole picture or you could be sunk.